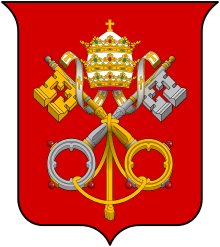 This article lists the Popes who have been canonised or recognized as Saints in the Roman Catholic Church they had led. A total of 81 (out of 266) Popes have been recognised as canonised saints, including all of the first 35 Popes (31 of whom were martyrs) and 52 of the first 54. In addition, 14 other Popes are on the track to sainthood, either currently on the way to or having already been recognized as a Blessed or Beati, for a total of 95 of the 266 Roman Pontiffs being venerated for their heroic virtues and contributions to the Church. The most recent Pope to be put forward for sainthood is Pope John Paul II, whose cause for canonisation was begun in May 2005 and who was beatified on May 1, 2011. John Paul II and Pope John XXIII were canonised on April 27, 2014.